Ann Mead, aged 16, was found guilty of the Royston murder of Charles Proctor, aged 1, by feeding him a spoonful of arsenic. This is only one of many local criminal cases recorded in the diary of John Carrington (1726-1810), who lived at Bacon’s Farm, Bramfield. 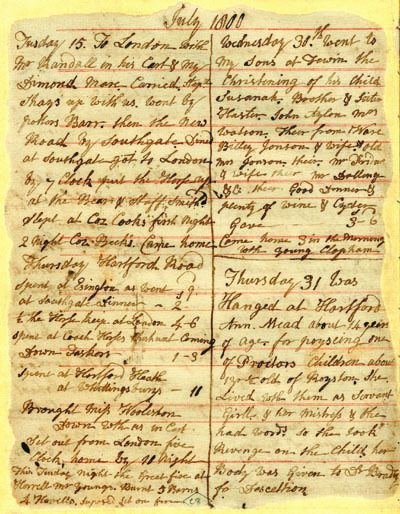 John Carrington’s diaries held at Hertfordshire Archives are packed full of interest, and give an insight into national events from a local perspective.